This page contains the SJRH Department of Emergency Medicine CPD resources. These resources include CPD policies and forms, archive of Department Rounds and M&M learning points, links to internal and external CPD courses and online educational resources. The objectives of the CPD program are to provide support for physician development and maintenance of clinical and academic competencies, to oversee a program of quality local CME events including Rounds and Journal Club and to provide integration of CPD with the other SJRHEM programs. SJRH DEM provides each physician with an annual review. This process includes a review of annual CME attainment and SJRHEM department participation, and provides support for developing a plan for the following year. Department Rounds are held on a monthly basis from 8.30am to 11.30am in the Emergency Department Conference Room. The Emergency Medicine Review (EMR) course is offered by the Saint John Regional Hospital Emergency Department to guide eligible candidates in preparation for the CCFP (EM) licensing exam. Journal Club is held on a monthly basis from 7.30pm to 9.30pm and are hosted at the homes of faculty staff. 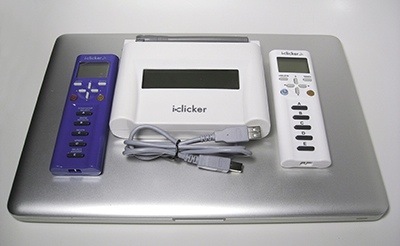 We also have the i>clicker Audience Response System (ARS) which enables participants and presenters to interact dynamically through question-and-answer polling in various group settings. Click the above link or here to access instructions for use and other i>clicker resources.